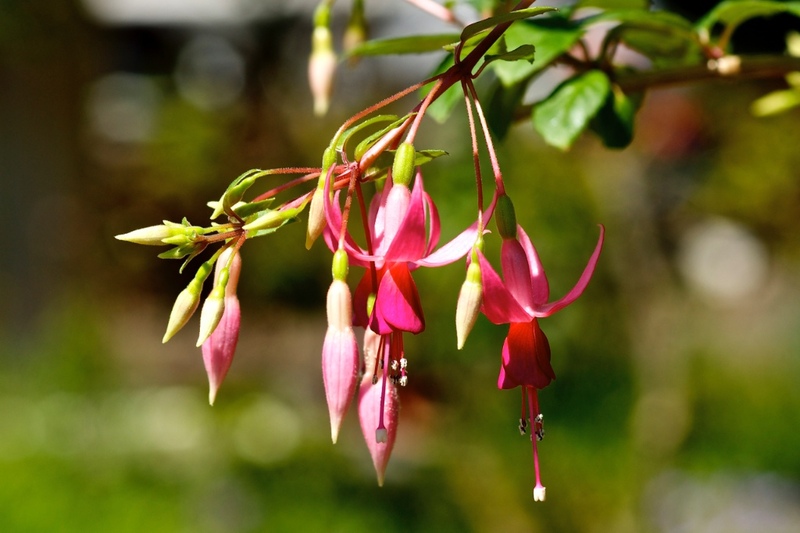 Home » Allgemein @en » ‘Glendale’ is the Fuchsia of the Week 18/2015. I did choose this Fuchsia because it is alway blossoming early in April within the greenhouse, every year. It was crossbred in the USA about 80 years ago, and introduced in 1936 by Evans and Reeves, named like a beautiful town in California. Evans & Reeves did introduce during 20years about 60 hybrids to the public, an astonishing number that days. Its lineage is listed as “F. lyocides” and “Fireflush” within the International List of Fuchsias, compiled by Mr. Willi Grund from Germany. To me it is, by two ways, an vintage but venerable specimen: First, by its heritage, and second, because i obtained it at the closure of the “Fuchsia Paradise Fuhrmann”, and at that a 30 year old regular from Mrs. Fuhrmann herself, from her old stock. While being reduced to a “skeleton” each fall, it branches out regularly in early spring and starts blossoming in April. When placed outside the greenhouse, it is given a place in plain sunlight, though this hybrid tolerates that. 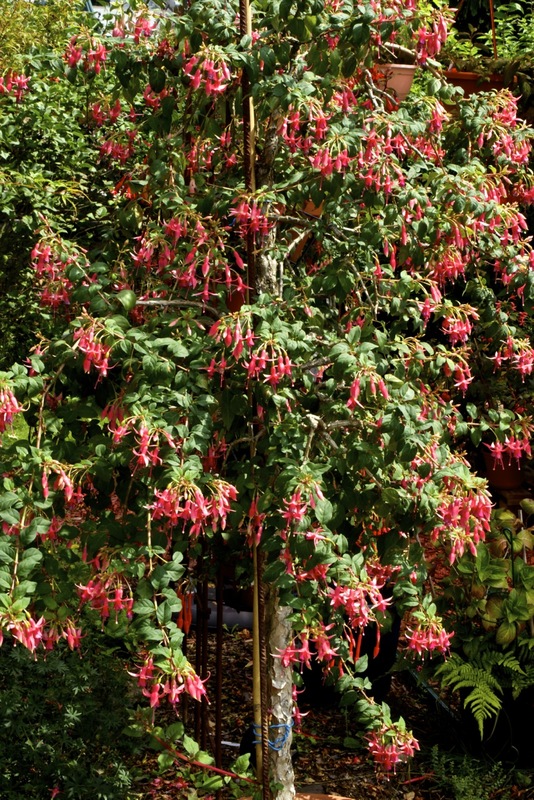 Some do count this hybrid among the hardy plants (frost resistant), but I can not, due to no experience in that regard, contribute to that opinion: by no means would i risk this veritable Fuchsia-Tree! Beside Fuchsia Michiels i do know no other nursery selling this hybrid. But of course i do not now the repertoire of every nursery nor will i ever. In my opinion it would be a pity if this Fuchsia would finally vanish, and don’t think or want that to happen.